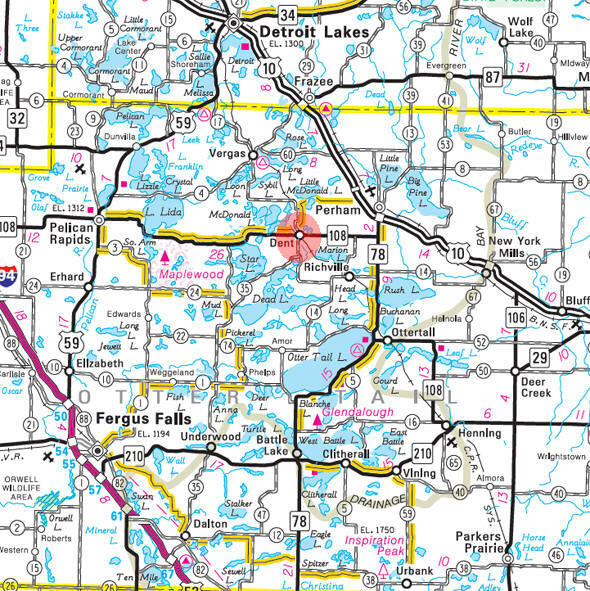 Dent is a city in Otter Tail County, Minnesota. Minnesota State Highway 108 serves as a main route in the community. According to the United States Census Bureau, the city has a total area of 0.38 square miles (0.98 km2), all of it land. The elevation is 1,375 ft (419 m) above sea level. As of the census of 2010, there were 192 people, 78 households, and 53 families residing in the city. The population density was 505.3 inhabitants per square mile (195.1/km2). There were 88 housing units at an average density of 231.6 per square mile (89.4/km2). The racial makeup of the city was 95.3% White, 1.0% Native American, and 3.6% from two or more races. Hispanic or Latino of any race were 1.0% of the population. There were 78 households out of which 29.5% had children under the age of 18 living with them, 52.6% were married couples living together, 10.3% had a female householder with no husband present, 5.1% had a male householder with no wife present, and 32.1% were non-families. 26.9% of all households were made up of individuals and 7.6% had someone living alone who was 65 years of age or older. The average household size was 2.46 and the average family size was 2.92. The median age in the city was 38.3 years. 25.5% of residents were under the age of 18; 8.3% were between the ages of 18 and 24; 22.4% were from 25 to 44; 29.2% were from 45 to 64; and 14.6% were 65 years of age or older. The gender makeup of the city was 45.8% male and 54.2% female. DENT, a city in section 34 on the Soo Line in Edna Township, platted August 19, 1903, and incorporated September 8, 1904, was named for the variety of corn called Northwestern Dent Corn that was used so abundantly by farmers of the area. The post office was established in 1900. We invite you to vacation with us on beautiful Big McDonald Lake. Our resort is the only one on this quiet 1,000 acre spring-fed lake located in Otter Tail County, known as "Lakes Country" for its 1,048 enchanted lakes nestled amidst rolling hills and expansive hardwood forests. Big McDonald Lake boasts water clarity of up to 25 feet, among the cleanest in the state. 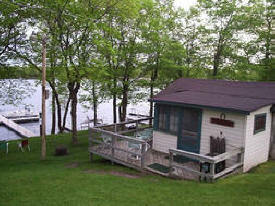 Our eight cabins are located on level grounds within 40 feet of the water and offer excellent views. 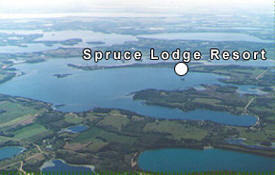 Easily accessible from I-29 or I-94, for fishing, boating, swimming or just plain old relaxing, you can experience it all. We cater to families, serious fishermen and people who just want to relax and be comfortable. We can provide everything you need for a week, a few days, or a weekend stay. The Resort, which is the only one on Marion Lake, has a grassy lake side lawn, with beautiful shade trees, a playground area, volleyball area, and a sandy and well-protected swimming beach. The kids will enjoy catching bluegills with their hands at the swimming dock. 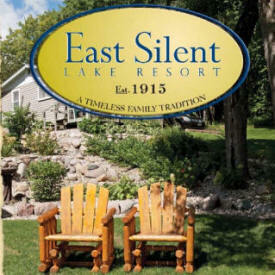 East Silent Lake Resort Resort is an 11-cabin Minnesota family resort located on a quiet country road in Minnesota’s Otter Tail County “lakes” area. A long lane covered by a beautiful canopy of maples, oaks and birch leads to our comfortable lakeside cottages. You will enjoy the many East Silent Lake activities that our clear, sparkling lake has to offer such as, skiing, tubing, fishing, snorkeling, canoeing, swimming and boating. Children will love the variety of water toys available. Other fun activities include sand volleyball, basketball, lawn games, campfires, bird watching, biking and playing on our safe playground. 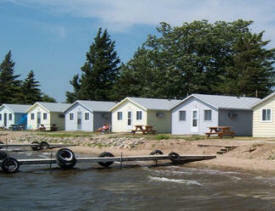 We are a small family run resort and campground located on the West arm of Star Lake near Dent Minnesota. We consider this our own "Golden Pond" and we invite you, avid fishermen, nature lovers, family and friends to enjoy it for a few days or weeks. Our Cozy housekeeping cabins are completely furnished and linens are supplied. One fishing boat is furnished with each cabin and Bait and motors are available. We also have boat launching access. We have campground space available for RV's , overnight and seasonal. 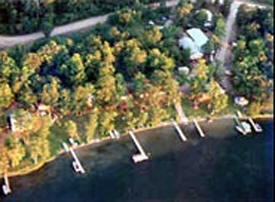 This charming resort nestled at the northernmost bay of Star Lake offers both recreation and leisure. The resort is located in the heart of Minnesota's beautiful Lakes Area, just 30 minutes from the towns of Detroit Lakes and Fergus Falls. The Galaxy Resort promises something for all ages. Enjoy clean, comfortable cabins with full kitchens, front decks and individual boat piers. The Galaxy family welcomes you to relax on the sandy beach, dine in the newly remodeled restaurant, relax in the pub or fish, water-ski and swim the waters just steps from your cabin. 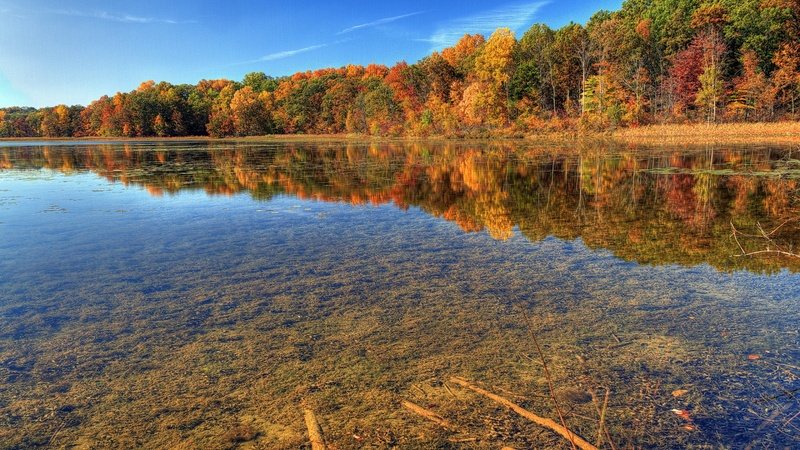 Spend a relaxing, fun filled weekend at one of Minnesota’s most beautiful lakes. At Heart Beach Resort you can enjoy fishing from morning till dusk and then break out the filets over our grills. With 5 cabins and 10 camping sites you will have no trouble getting a little shut eye under the gorgeous, tranquil Minnesota skyline. Get away! Come to a resort where you can put your worries away. We look forward to seeing you soon. Each air-conditioned cabin features two double beds, a bath with tub and shower; kitchen with refrigerator, stove, coffee maker and toaster. Cooking utensils, dishes and silverware are provided. Double beds are complete with linens. There is a couch, table and chairs in each cabin. Cabins are excellent for up to 4 people. Cabins can accommodate five people using the fold-out couch. 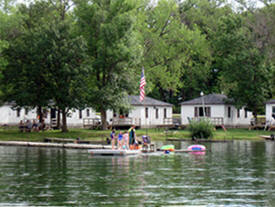 A picnic table is available for each cabin and each two cabins have a private dock. Relaxation on 12 secluded wooded acres. Quiet 8,000 acre natural environment lake. Great fishing. Clean, modern, housekeeping 1 & 2 bedroom carpeted cottages, two are log. 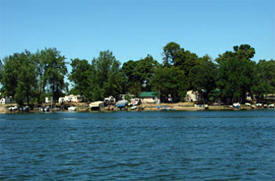 Microwaves, Lund boats, pontoon, boat lifts & canoes. Full RV & tent facilities. No pets. Are you looking for a NEW place to scrapbook or quilt? A Friend’s Getaway is the place for you! This country retreat was newly established in April 2010, by 3 women who have the passion for scrapbooking, quilting and other crafts. 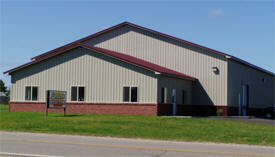 We are located 1 mile from Dent, MN on 2.87 acres; the house has 3600 square feet of a relaxing but energetic atmosphere. 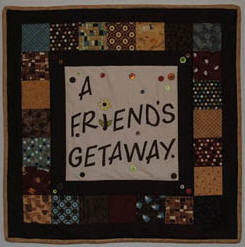 A Friend’s Getaway was established to provide a safe and inviting getaway, a home away from home, for people to gather, relax, and create friendships to last a lifetime. 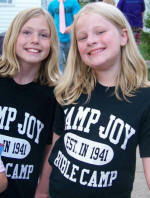 Camp Joy has grown and developed in meeting the spiritual needs of the community and surrounding areas. Camp Joy today, consists of 14 cabins (Each with 10 beds), Chapel & Dining Hall which each seat 150 people, Staff House with 5 bedrooms & kitchen, Cooks housing, Class-rooms, Canteen and rest facilities. 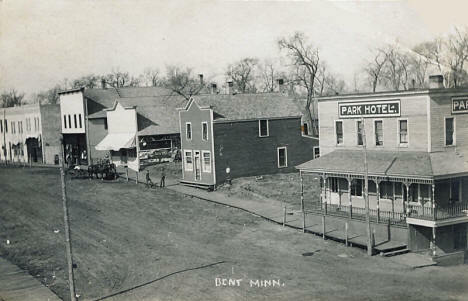 Since 1904, Farmers State Bank has provided banking services to the surrounding area. 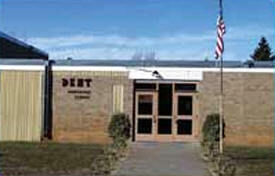 Our full service bank is locally owned and operated, with offices in Dent and Perham. We offer a variety of checking, savings, and lending products to meet your needs. Products that will help you reach your financial goals and dreams. Our friendly staff is committed to giving you the personal service you deserve. We take pride in our communities and are committed to their prosperity and growth. Let us show you why we have been A Tradition of Trust since 1904. Hexum Buildings has been serving West Central Minnesota and Eastern North Dakota for over 25 years, and over that time has earned the reputation of being one of the areas finest post-frame building contractors. Hexum Buildings prides themselves on affordable buildings, quality workmanship, and an experienced crew and mean it when they say "We build the best for less"! 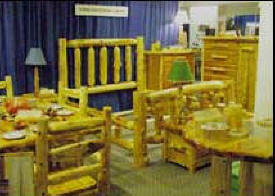 We proudly create beautiful white cedar log furniture designed to bring the comfort and warmth of a great northwoods "getaway" lodge into your home 12 months out of the year setting you "Just North of the Tension Line". Utilizing the native Minnesota resource of Northern White Cedar, Ottertail Cedar Log Furniture offers beautiful hand-crafted log furniture.